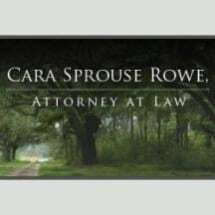 The law firm of Cara Sprouse Rowe, Attorney at Law, represents clients in the areas of family law and criminal defense. We serve clients in Martinez, Augusta and the surrounding Georgia communities. Firm founder, Cara Sprouse Rowe is a trial lawyer and has significant experience litigating cases in Georgia courts. She maximizes results for clients in both family law and criminal defense matters by tailoring her approach to the situation. While some cases require hard-handed litigation, others are better resolved by using collaborative methods. The firm handles a wide variety of matters within our practice areas. Our family law practice encompasses divorce, division of property, child custody and visitation, enforcement and modification, grandparent visitation, guardianship, child support and adoption. The majority of clients we represent are concerned about how to deal effectively with their family law issues and protect their children. Cara Sprouse Rowe approaches every family law case with the best interests of the children in mind. For people charged with criminal offenses, Cara Sprouse Rowe uses her prior experience as a prosecutor to understand cases from both sides. She is skilled at developing strategies to minimize consequences for her clients. She handles cases involving DUI, traffic violations (including hit-and-run accidents and vehicular homicide), driver's license violations, theft, drug charges, juvenile offenses and federal crimes. She also defends military members charged with DUI and traffic tickets. With Cara Sprouse Rowe, Attorney at Law, clients benefit from her extensive trial background where she has handled countless jury trials, thousands of bench trials and all types of hearings. She knows the system and is committed to achieving the best outcomes possible for every client.